The 1995 Law on Elections has been amended and supplemented several times to make elections more fair and free, with the latest change introduced in July 2014. 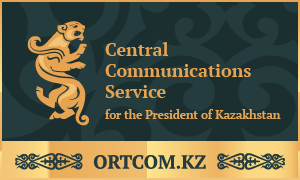 In 2009, Kazakhstan also adopted further legislation on mass media, elections, political parties, and local government to align Kazakhstan’s laws with OSCE standards. The legislative changes were drafted in close cooperation with NGOs, political parties and OSCE institutions. International observers have been invited to monitor the 2015 Presidential elections. They will observe the opening of polling stations, voting, counting of ballots, and the tabulation of results. Observers will closely monitor campaign activities, the legislative framework and its implementation, the media situation, the work of the election administration and relevant state bodies, as well as the resolution of election disputes. As in previous election observations, statements of preliminary findings and conclusions will be issued on the day after the election, and reports on the observation of the entire electoral process will be issued after the end of the observation missions. Observers from OSCE/ODIHR, CIS, SCO, OIC, and other international organizations are invited and have already begun deploying their long-term observation missions. International and domestic observers are registered in line with Kazakhstan’s legislation. Kazakhstan has been independent since 1991. Soon after independence, Kazakhstan voluntarily renounced the world’s fourth biggest nuclear arsenal, which it inherited from the Soviet Union. Kazakhstan is the 9th largest and the biggest land-locked country in the world, covering an area the size of Western Europe but with a population of just 17 million people. Kazakhstan is among the most diverse countries on earth, with over 130 different ethnic groups living here. Among other things, this is reflected in the wide variety of food available in Kazakhstan, including Korean pickled vegetables, Russian borsht, Chinese dumplings and Kazakh noodles. Kazakhstan is home to the world’s largest and oldest space launch facility. The Baikonur Cosmodrome, established in 1955, launched the first man, Yuri Gagarin, into space in 1961. And since NASA ended its space shuttle programme in 2011, Baikonur became the sole launch site for all manned missions to the International Space Station. Astana has been the capital since 10 December 1997. It includes landmarks designed by the British architect Lord Norman Foster, such as the Palace of Peace and Harmony (the Pyramid) and a shopping mall inside the biggest tent in the world, the Khan Shatyr. Kazakhstan is home to some of the rarest animals in the world, including the snow leopard, the Caspian seal and the Saiga. Huge efforts are being made to save the Saiga, one of Central Asia’s strangest looking creatures. The numbers roaming the Kazakh steppe have doubled in less than five years. Approximately 70% of Kazakhstan’s population are considered followers of Islam. Both Islam and Orthodox Christianity, as well as other religions, have enjoyed a revival since the break-up of the Soviet Union. Kazakhstan is a secular state, however, and a lot of citizens share secularist worldview. In recent years Kazakhstan has achieved great sporting success, particularly in weight-lifting, boxing, wrestling and cycling. In London’s 2012 Olympics it unexpectedly came 12th in the medals table. As a country of cold climate, Kazakhstan has a strong tradition of winter sports, with Olympic champions and medallists in cross-country skiing, speed skating, and figure skating. The nation’s largest city of Almaty is shortlisted as a candidate to hold the Winter Olympic Games in 2022, with the decision on its competition with Beijing coming on July 31, 2015 at the IOC congress in Malaysia. Since independence, GDP has increased 16 fold. According to the International Monetary Fund, Kazakhstan ranks in the top 10 fastest growing countries. Kazakhstan avoided the global recession. The government expects GDP to grow by 4-5% this year, with per capita GDP rising to $15,000. Unemployment is low and overall inequality has been declining since independence. Kazakhstan is a regional leader in terms of economic reform, openness to international trade, investment and political stability. It is the leading recipient of foreign direct investment per capita among the post-Soviet countries, with around $200 billion accumulated since early 1990s. As of January 1, 2015, Kazakhstan’s gold and foreign currency reserves amounted to $102.5 billion, including $73.6 billion in the National Fund, a fund established in 2000 to accumulate excess revenues from the extractive industries. Kazakhstan is known for the richness of its resources; it is among the top twenty producers of oil, the fifth biggest exporter of wheat – and the biggest exporter of uranium. Kazakhstan is investing its resource wealth into health and education. According to the UN Education Index measuring educational attainment, Kazakhstanis ranked 21st out of 176 countries, ahead of countries such as the UK, Germany, Italy, Japan and Switzerland. Kazakhstan is strongly committed to sustainable development. The country is diversifying its energy resources by investing in wind and solar power. It has one of the highest potentials for wind power in the world. Kazakhstan is committed to supporting and maintaining its beautiful landscapes and biodiversity. There are 106 protected nature sites in Kazakhstan and the government is working with the World Bank to regenerate the Aral Sea. There are numerous eco-tourism projects, which help to sustain the regional economies. Kazakhstan expects to join the World Trade Organization in 2015, which should also help develop the manufacturing and service sector base. Kazakhstan and the EU have recently negotiated and initialled a new enhanced Partnership and Cooperation Agreement, which will further develop political and security cooperation, as well as continue to support economic and trade relations. The economy provides opportunities for foreign investors and local entrepreneurs alike. Almost 700,000 small and medium-sized businesses now employ more than 2.5m Kazakh workers and represent more than 30% of GDP. Since independence, Kazakhstan has played a constructive role in regional and international security. The country maintains friendly relations and develops mutually beneficial cooperation will all of its international partners. The restoration of peace and rebuilding of Afghanistan is a major priority for Kazakhstan. The country has provided aid, a $50 million-worth scholarship programme for 1,000 Afghan youth, and training programmes for the police. In 1991, Kazakhstan closed the Semipalatinsk nuclear test site and gave up the fourth largest nuclear arsenal in the world. Since then, Kazakhstan has been a vocal supporter of nuclear non-proliferation and disarmament. Kazakhstan’s decision to relinquish nuclear weapons is viewed internationally as a useful example for other states. 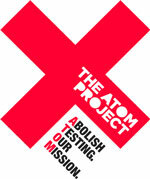 It has used its international reputation as well as good international standing to successfully offer and host two rounds of multilateral talks on Iran’s nuclear programme in 2013 which resulted in the resumption of progress in this process. Kazakhstan has recently announced that it will be contributing peacekeepers to the UNs security forces. Kazakhstan is increasingly playing a more active role as an international donor. The government has decided to formalise this by establishing an international development organisation called KazAID, which is expected to be launched in 2015. Its original focus will be on providing assistance to neighboring countries in Central Asia. Kazakhstan is bidding to take a non-permanent membership in the UN Security Council in 2017-2018 from the Asian quota. The Kingdom of Thailand is its sole competitor. Why are elections taking place now? 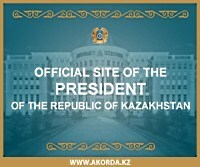 In its 23 years as an independent country, Kazakhstan has achieved a great deal. Its economy has experienced strong growth, its society is seen as a model of stability and tolerance and Kazakhstan is a respected international partner. But the global outlook has rarely been more challenging. The world economy is still in trouble, oil prices have fallen sharply, tensions between east and west have increased — and extremism is on the rise. It is against this difficult background that the presidential election has been brought forward a year. The aim is to provide Kazakhstan with clear and decisive leadership and a strong national mandate to guide the country through these difficulties and deliver further economic, social and political progress. Kazakhstan is determined that the elections will be open, transparent and fair and have invited independent international observers to monitor the entire process. Kazakhstan has been Central Asia’s success story. It has been one of the world’s fastest growing economies, a harmonious and stable society and a country which is seen as a good neighbour and respected international partner. After the fall of the Soviet Union, Kazakhstan was left with out-dated industries, poor public services and a population made up of many different ethnic and religious groups. In just over two decades Kazakhstan has preserved its interethnic harmony and become a successful, stable and ambitious country. Build on the good relations with its neighbours and the international community. Join the world’s most successful 30 countries by 2050 by modernising and diversifying its economy. Build an official development assistance capacity to increase the role Kazakhstan can play in social, economic and humanitarian support in its region and the world. The Asian financial crisis of 1998-1999. The National Fund was set up as a long-term home for excess revenues from its extractive industries in 2000, measures were put in place to strengthen the country’s financial system and build up its national gold and currency reserves (at more than $100 billion now). The global financial crisis in 2008 and 2009. Steps already put in place protected against global challenges. Sustained growth returned quickly to Kazakhstan’s economy. It has demonstrated the vital importance of clear and decisive leadership. Kazakhstan’s Constitution clearly sets out the rights and freedoms to be enjoyed by all citizens. Development Strategy Kazakhstan 2050 puts human capital development and human rights at the centre of the country’s long term ambitions. The country has signed and ratified the most important human rights conventions, including the International Convention on the Protection of the Rights of Persons with Disabilities last month. An Ombudsman’s Office on the Rights of the Child is being created. An interdepartmental commission, under the Ministry of Foreign Affairs, has been set up to ensure government actions are in line with UN human rights mechanisms. Kazakhstan has put in place new measures, under the Legal Reform Strategy 2010-2020, to strengthen the independence of the judiciary and the legal framework. Actions are taken to ensure Kazakhstan’s police and security services serve its citizens fairly. Rooting out corruption in all areas of the national life has been made a priority. A new body called the “Dialogue Platform on the Human Dimension» has been created to draw up recommendation from the civil society to develop democracy, protect human rights and strengthen the rule of law. Since 2013, over half its recommendations have already been followed up by government agencies and the Parliament. Undoubtedly there is still more to do to bring the country up to the highest international standards. However it is worth noting that Kazakhstan does not have the long democratic tradition of many countries. The country has only been an independent nation for 23 years and inherited a political system and culture in which democracy and human rights were alien. Implement the Nurly Zhol – Path to the Future programme by accelerating investment in the modernisation of Kazakhstan’s national infrastructure and diversification of its economy, Investment will be increased in education from new kindergartens to expanding university places as well as improving health provision. Implement President Nazarbayev’s institutional reforms necessary to ensure Kazakhstan achieves its ambitious goals. They include the creation of a modern and professional civil service, improving the accountability of the state to its citizens and the further strengthening of the rule of law. To help the economy, he also called for better protection for property rights and increased support for entrepreneurs and small and medium sized businesses. Continue growing the country’s middle class. Astana became the capital city of Kazakhstan on December 10, 1997. The population of Astana is approximately 830,000. The city is divided by the River Ishim. The older parts of Astana are north of the river – referred to by locals as ‘the Right Bank’. The newer area to the south – ‘the Left Bank’ – includes government ministries and the Office of the President. Astana has attracted some of the world’s leading architects to create a spectacular cityscape. The Left Bank follows a design originally conceived by the renowned Japanese architect and town planner, Kisho Kurokawa. British architect Lord Norman Foster designed a number of buildings in Astana, including the Palace of Peace and Harmony – ‘the Pyramid’ – and Khan Shatyr. Officially the largest tent in the world, on its top level Khan Shatyr features a beach available year-round with sand from the Maldives. In a short time, Astana has established itself as one of the leading cities in Eurasia. It has hosted major international events, including the OSCE Summit in 2010 and the Asian Winter Games in 2011, as well as Kazakhstani initiatives such as the Congress of World Religions and the Astana Economic Forum. Astana has won the right to host a specialized international exhibition EXPO 2017 on the subject of ‘Future Energy’. The city has a growing arts and culture scene, including several orchestras and concert halls and an opera company, based in the new Astana Opera house opened at the end of 2013. ‘Astana’ literally translates as ‘the Capital’ and was renamed from Akmola in 1998. The settlement had previously been known by its Soviet name of Tselinograd – which means the City of Virgin Lands and provides the airport code of TSE – and Akmolinsk up until 1961. Astana is the second coldest capital in the world, behind Mongolia’s Ulan Bator. It sometimes reaches -40C in winter, while in summer temperatures can climb to the high 30s. Astana International Airport is about 15km south of central Astana. It serves Vienna, Paris, Kiev, Moscow, Beijing, Delhi, Seoul, Bangkok, Istanbul, Abu Dhabi, London, Amsterdam, Hannover and Frankfurt, as well as 15 domestic destinations. A taxi from the airport to the city centre takes approximately 30 minutes and costs 2,500 Kazakh tenge. There are cash machines in shopping centres, on the streets and in most hotels. Most banks convert dollars, euros and roubles. Pounds and Swiss francs are much harder to exchange. In Kazakhstan the standard voltage is 220 V. The standard frequency is 50 Hz. The power sockets used are of type C / F, which are standard continental European sockets. Line Brew — Popular with expats and locals alike, Line Brew features its own brew of beer, with an impressive menu that includes several delicious steaks, including one made of horse meat. There are three GSM mobile phone providers: KCell, Tele2 and Beeline. All three offer mobile web (Edge, 3G). SIM cards are cheap and can be bought (ID to be produced upon purchase).